Be swept away by the open floor plan, and the clean cozy yet contemporary vibe of this brick ranch!! The home is light and bright with a picture window in the main living space. You'll find new quartz counter tops in the kitchen, white cabinets with crown moulding and upgraded stainless appliances with a French Door refrigerator, Carrara Marble in the master bathroom, and rich espresso refinished hardwood floors. Downstairs, the home features a huge great room, plus a bedroom and completely updated large shower in the bathroom. The backyard is huge with a new sprinkler system and back patio for relaxing. This home has everything and is done to perfection! Also, brand new air conditioning system and new electrical panel. 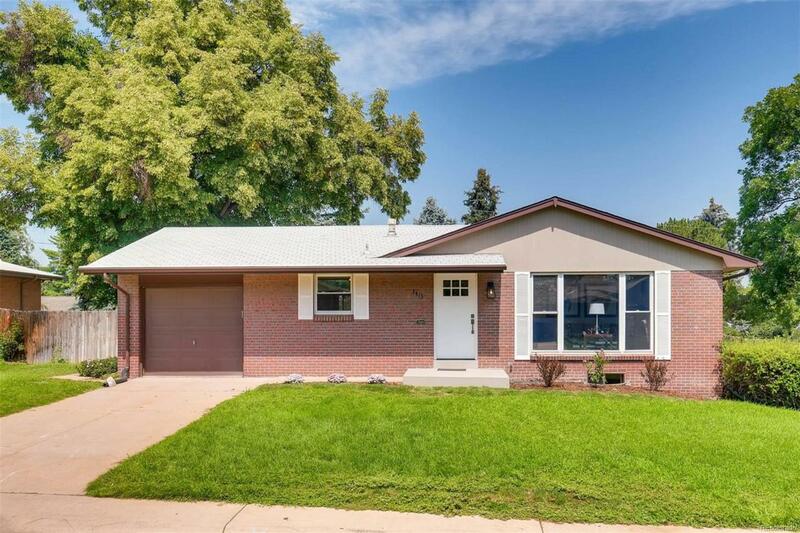 The home is right in the middle of the sought-after Cherry Knolls neighborhood which enjoys expansive tree-covered streets, a nearby walking trail and park space. You'll also live in the excellent Littleton Public School District. Ready to move in and enjoy!